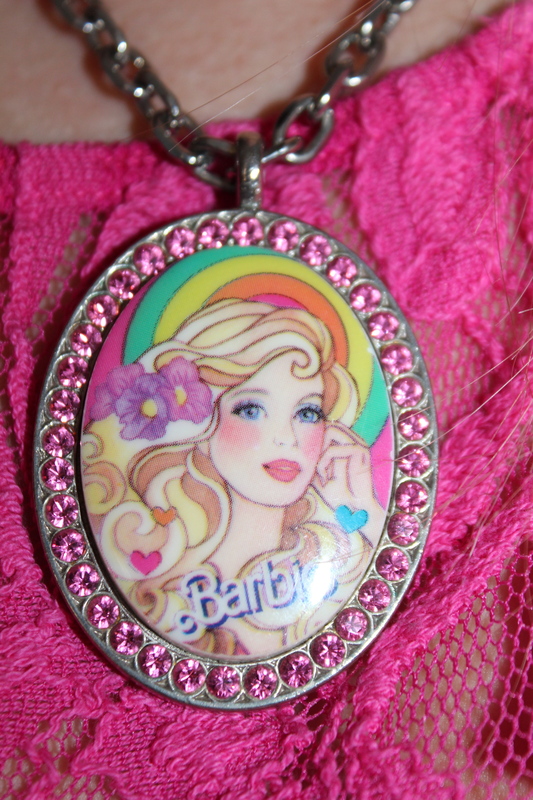 Feeling Girly With Pink and Barbie | Just Jess Fashion! Somedays ya just wake up feeling in a mood for pink. I think I was born with this mood. Today, I was feeling extra pink and ta da, a rummage through my closet and a few minutes digging through my jewelry box I put together this ensemble. Now, I’ve tried to tone my need to look like a Barbie doll down. And I think I’ve come a long way. I went through a phase in high school where every single day I wore pink. We’re talking head to toe pink. Pink top, pink bottoms, pink back pack, pink folders, pink pink pink. I did go through a phase briefly in 7th grade when I declared my favorite color to be pastel green, because that was Nick Carter’s favorite color, but that hardly lasted a year. Like I said, my love for pink has existed pretty much since the day I was born. Perhaps it’s because due to my dress code at work, my wardrobe has been taken over by the color black that on my days off I feel it absolutely necessary to branch out beyond the color wheel’s most mundane colors. Regardless of the reason, or the season I suppose every time is a good time to wear pink. Today I went to run an errand, and the cashier told me her daughter would have loved my jewelry. I usually get that a lot when wearing my hello kitty/ Barbie pieces. To be expected. She said she was going to go home and say “Barbie was in my store today.” Talk about a way to make a persons day! They don’t say she’s “pretty in pink” for nothing. 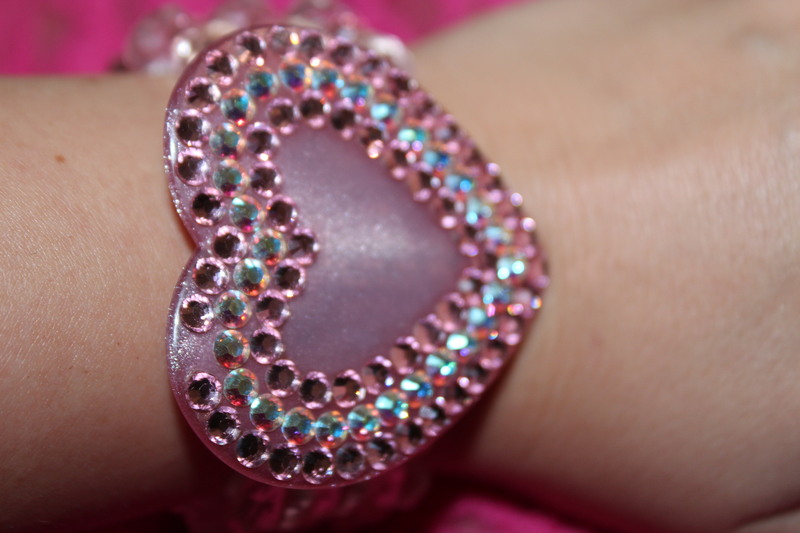 Tarina Tarantino heart bracelet. If it’s anyone who can appreciate the color pink as much as I do, it’s the woman with pink hair. The piece that started off my whole Tarina Tarantino collection. Still my favorite.